I love coffee so when I was asked if I would like to try a couple of coffee products that went hand in hand with each other I could not resist. I must admit I am a bit of a coffee snob. I am very particular with the coffee that I have and would rather spend more money to have a good cup of coffee. During the week I depend on our coffee machine and instant coffee but at the weekend the hubby and I like to indulge in ground coffee. As much as we like to stick with our regular coffee it is always great to try new blends. 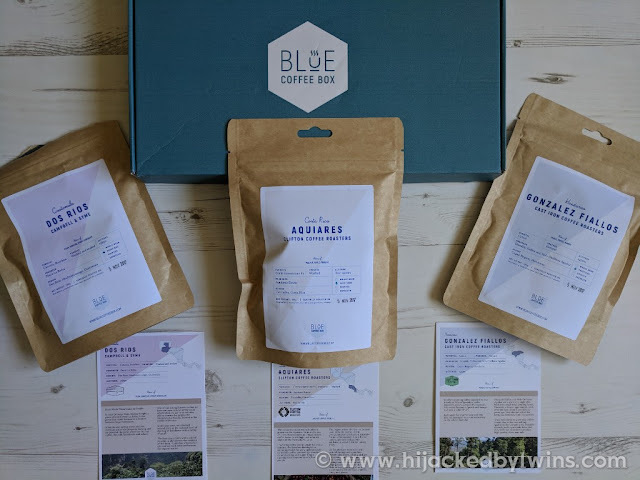 Blue Coffee Box is a new coffee subscription that I can see becoming a favourite of ours. Once you have selected the coffee you would like you can then select whether you receive one or two boxes a month and a contracted time, one month, three months, six months or 12 months. When you receive your box you will find three different coffees. I wish that I could express the immense fragrant smell of coffee as the box is opened. It has to be one of my favourite smells and the second you open your box you release a delicious scent that fills the room. 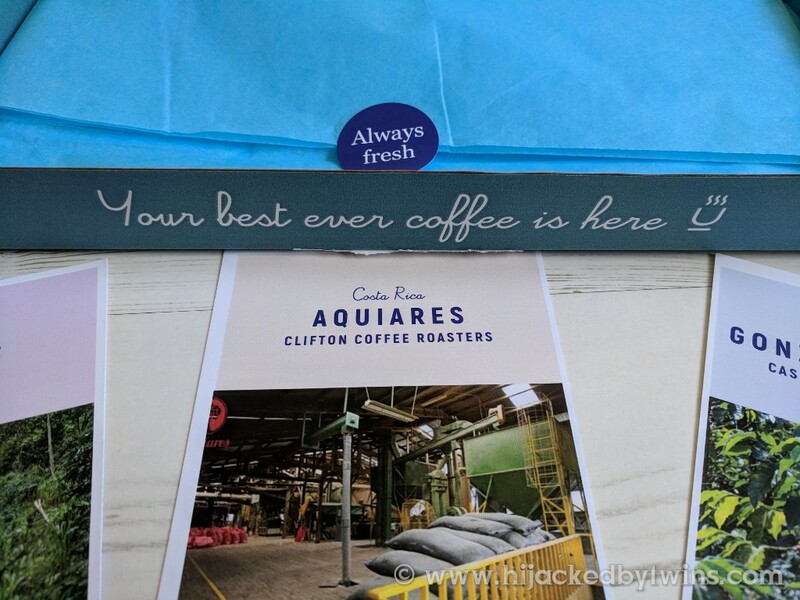 With the coffee you receive a card full of information about where the coffee beans have come from, their flavours and about the farmers who grow the beans. 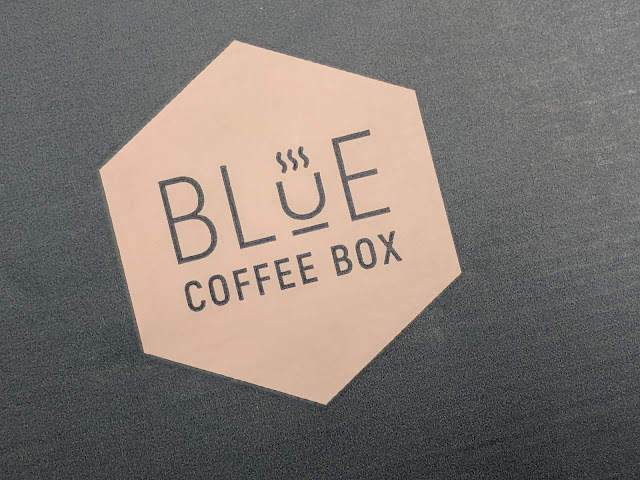 We love how the Blue Coffee Box allows you to discover new blends and flavours and best of all there is no need to be in when the box arrives as it fits perfectly through the letter box! All of the blends have been lovely and thanks to their site I now know that darker roast does not always mean a stronger coffee! Now that we have the coffee finding the perfect cafetiere or French press was next on my list. So when Coffee Gator asked if I would like to try one of their French presses I knew that the timing was perfect. 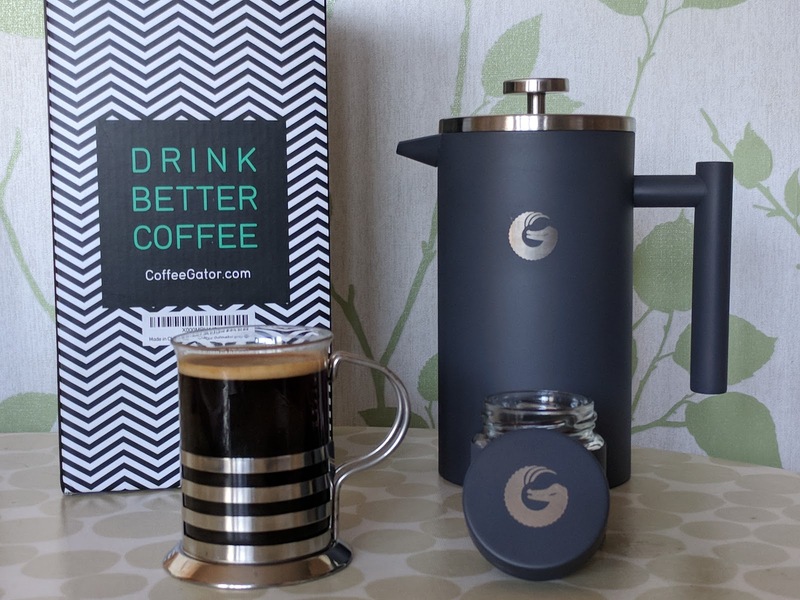 We have a cafetiere at home but find that the coffee can cool down quite quickly so when I saw that the Coffee Gator French press guaranteed to keep the coffee hotter for longer I was curious! The Coffee Gator French press is made with stainless steel, the double walls are 33.33% thicker than other metal coffee presses on the market which helps it to retain the heat for at least 32 minutes longer! The double layer mesh filter means you have a cleaner cup of coffee. As well as being a more practical press it is also a stylish piece of kitchen equipment. It comes in either grey, as pictured below, orange or stainless steel. 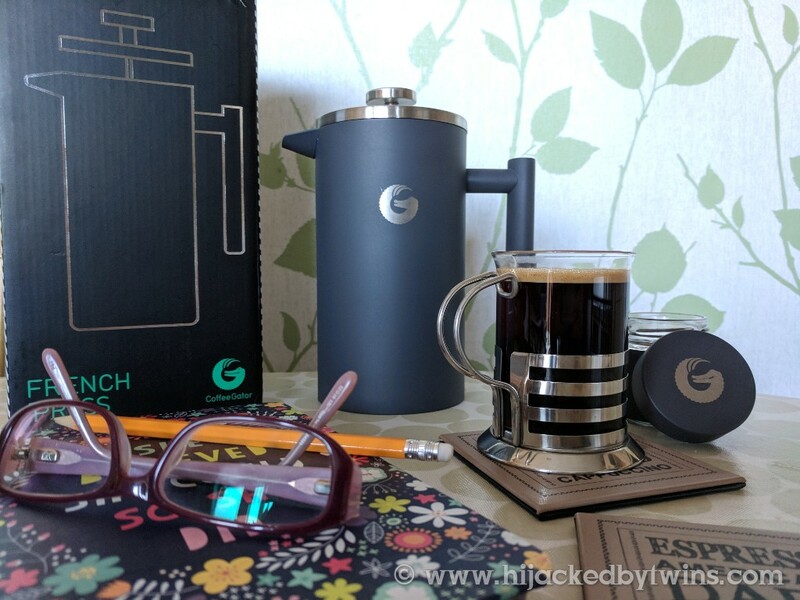 The Coffee Gator French press is more expensive than a glass cafetiere but with this French press there is no worry of it breaking as with a glass press. To put the press to the test we made a coffee and left it for 30 minutes before pouring and we were amazed to get a lovely hot cup of coffee! The Coffee Gator French Press is available in the UK through Amazon and I definitely recommend changing to a stainless steel press! As with the Blue Coffee Box this press would make a great coffee loving Christmas gift! Disclosure: I received a months worth of coffee from Blue Coffee Box and the Coffee Gator French press for the purpose of this blog post. No cash payment was received. All views and opinions are my own and 100% honest. I need a new cafetiere soon and love the look of that Coffee Gator French Press. I need proper coffee to get me going every day and it's definitely worth paying more for!